It’s no secret that nothing makes me happier than a nice bold lip color. Bold Lips are my J-A-M. My makeup drawers (yes as in multiple) are FULL of bold reds and bright pinks. Whenever I sport a bright color I am always told two things 1) How pretty it looks and 2) How brave I am for wearing it. So many women I know are scared of brighter lip colors. I know they can seem intimidating, but there is magic in those creamy bold shades and a good bold lip can be an instant confidence booster. 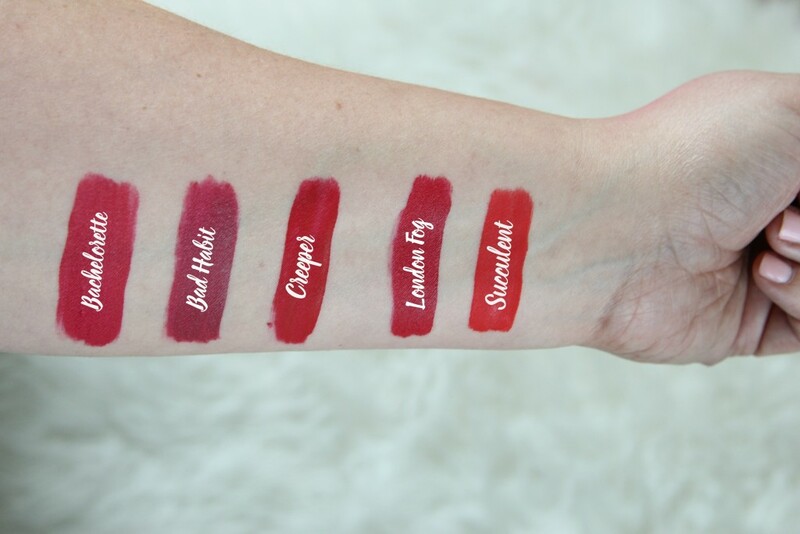 I have collected a lot of bright lip colors over time, but these are my top 5 bold lips that are perfect for any skin tone and are an instant confidence booster. 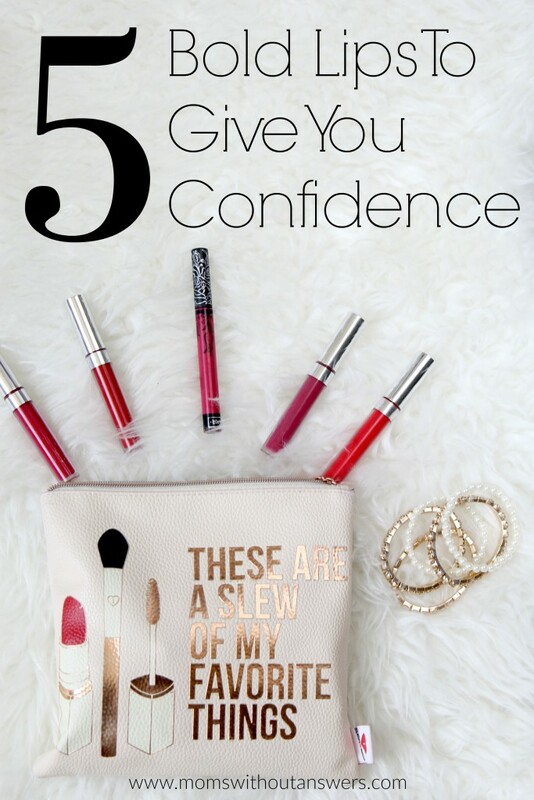 Not only are these instant confidence boosters, but these bold lips hold other secret powers…..
A bold lip is great for hiding the bags under your eyes. Sleepless night thanks to a kiddo? Slap on a bold red lip and the bags are instantly gone. A bold lip is the perfect accessory to any outfit. Weather you are sporting a t-shirt and ripped denim or your sunday best, there is a shade for every outfit. It’s the perfect pop of color that any ensemble needs. Wearing a bold lip can cut back on your primping time. In a rush to get out the door? Skip the blush and shadows and instead reach for a bright lipstick. It will bring all the drama without all the work and cut your primping time in half. There is just something about a nice bright lip that makes you feel empowered. And happy. Who doesn’t want to be happy? Creeper is my jam! I have been wearing it non-stop. Love a bold lip & you know how to rock it my friend! 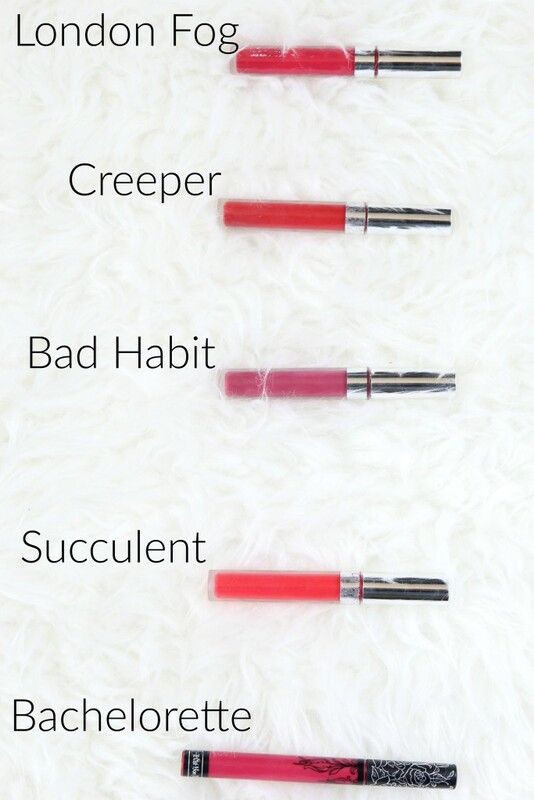 I need to try ColorPop! I am so late to the party on the brand but everyone seems to love it!